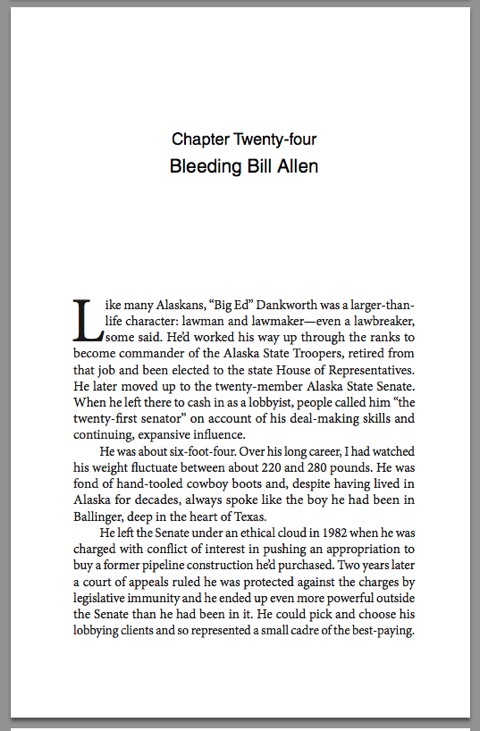 Things are still on track for the release of Write Hard, Die Free as planned in Anchorage April 20. As things stand now, the debut event will be an onstage interview with Anchorage Daily News columnist Julia O’Malley followed by a Q&A. Since the event is part of the annual statewide Alaska Press Club conference, I’m expecting knowledgeable questions—including the prospect of hearing from folks who lived through the era with me. Preliminary plans also include an appearance on the “Talk of Alaska” program on the Alaska Public Radio Network and a lecture or reading at the Loussac, Anchorage’s central city library. Other radio shows are possible, too. We’re likely to take the show on the road to Fireside Books in Palmer (be sure to note their url) and to a location TBD in Homer. I’m more than open to suggestions, too: ideas for locations, house parties, Dunk the Author carnivals and the like. Plans are still being made for Fairbanks and Juneau. I expect we’ll find opportunities in both towns. Seattle is on the docket, too, owing to its long historical ties with Alaska, and I believe the California State Library will host an event here on account of my residency. The book is set in Minion Pro 11.5pt type. Chapter headings and titles are Helvetica. It looks great. I think the book comes in right around 250 pages long counting 16 pages of photos.